Minister of Tourism the Honourable Lindsay Grant and Prime Minister the Hon. Dr. Timothy Harris hands over stall keys to a vendor. 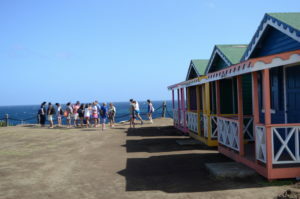 Basseterre, St. Kitts – The popular tourist attraction Black Rocks in Bellevue, St. Kitts, is now home to five chattel house styled vendor booths, which will not only empower vendors, but provide additional luster to the island’s tourism product. Speaking at a small ceremony at Black Rocks to mark the event Dec. 27, Minister of Tourism the Honourable Lindsay Grant said that the government remains mindful that destinations around the world continue to compete for visitors by upgrading and adding to their historic sites and attractions and ensuring the high quality of their guests’ experiences. Minister Grant said that renovations to Black Rocks started last year and that through several meetings it was agreed that there was an urgent need for intervention. The intervention was to raise the standard of the facility so that it can provide a much improved vendor and visitor experience “befitting one of the most popular iconic and natural tourism attractions in St. Kitts,” said the minister. “We fast-forward to today and there is ample evidence of the work that has been done and the progress that has been made to bring about the transformation of this historic venue,” he said. The tourism minister commended the White Gate Development Corporation, generally, and Ellis Hazel, CEO and managing director, specifically, for their financial and moral support to a significant portion of the project. “The landscaping of the facility and the environs, the construction of roads and drainage systems, signage and lawn furniture are all courtesies of the White Gate Development Corporation to the tune of [more than] $600,000,” Grant said. 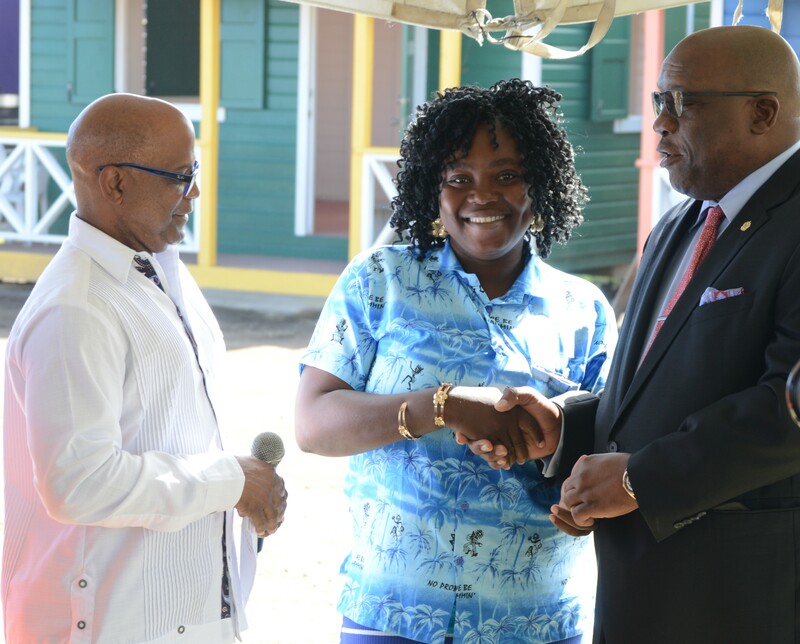 The first five chattel house style vendor booths have been funded by the government of St. Kitts and Nevis at a cost of more than $250,000. Five additional vendor booths are currently under construction. Other additions at Black Rocks include viewing platforms, stalls for the primate petting vendors and people selling local fruit, vegetables and preserves. The revitalization of the site provides entrepreneurs from nearby communities with a space to make and supplement their livelihoods, said Grant.